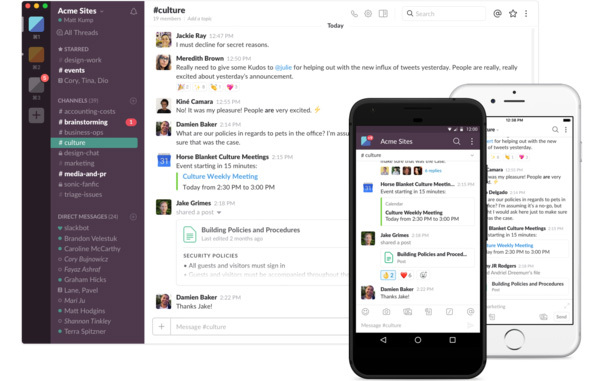 Slack is opening up its channels in Denver. While the company did not disclose specifics regarding the lease, a source told BusinessDen that Slack is taking 80,000 square feet consisting of floors six and seven at the 19-story building, which is still being developed behind Union Station. The deal was signed at the end of August, and the lease begins in April, the source said. Slack joins DaVita, which is the building’s anchor tenant. Invesco Real Estate bought 16 Chestnut in 2016, shortly after the development broke ground, from Starwood Capital Group and East West Partners; East West remained the project’s developer. BusinessDen reported at the beginning of 2018 that Slack was in the market for at least 50,000 square feet. Then in the spring, the Colorado Office of Economic Development and International Trade approved $10.5 million in incentives for the company in return for bringing about 550 jobs in the state. In addition to its San Francisco headquarters, Slack also has offices in New York, Vancouver, Dublin, London, Toronto, Melbourne and Tokyo. The company touts 8 million users and more than 70,000 paying customers on its website. Chris Wiley and Matthew Ball with Colliers International represented Slack in the lease negotiations.